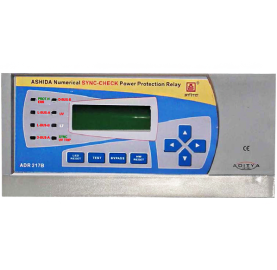 ADR217B is second generation Numerical sync check Relay. It consists all the necessary protection and monitoring functions required for synchronising two power sources. The High speed Digital Signal Controller is 16bit fix point DSP having all the features of DSP and microcontroller thus commonly known as DSC (Digital Signal Controller). 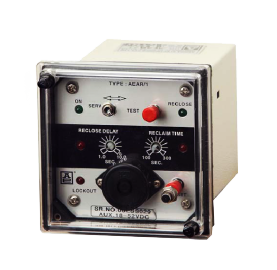 The DSC continuously monitors voltage signals, along with different status input, through PTs and optical isolated status connections. The high-speed microcontroller samples these voltage signals through a A/D converter.